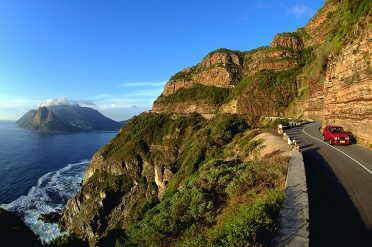 A leisurely drive through the ever-changing scenery of the beautiful Western Cape, visiting Hermanus, the Winelands and Cape of Good Hope. Drive along one of the world’s most spectacular coastal passes, Chapman’s Peak, to explore the beaches and National Parks of South Africa’s Cape Peninsula. Visit where the two mighty oceans of the Pacific and Atlantic meet. 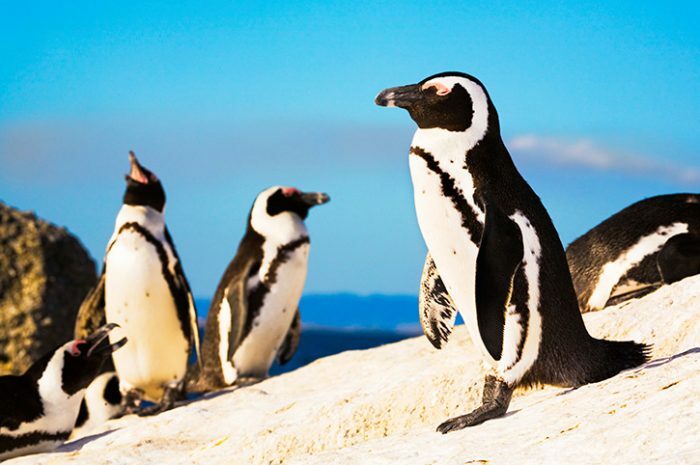 Discover the delightful penguin colony at Boulders Beach and the magnificent Kirstenbosch Botanical Gardens before your stay at fashionable Sea Point. Another spectacular drive this morning along the southern coast to the small seaside town of Hermanus, one of the best whale-watching destinations in the world. Enjoy the beaches and coastal walks in summer or watch whales basking out to sea during the whale watch season of June to November. Some come within 50 meters of the shore to give the best land-based viewing in the world. Leaving the town of Hermanus, meander over the mountains to the charming Winelands town of Franschhoek. 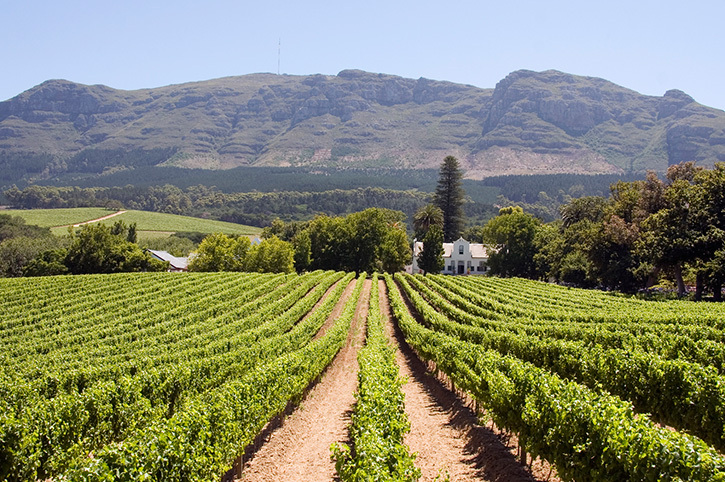 Situated in one of the most beautiful valleys in the world, Franschhoek was originally settled by French Huguenots back in 17thCentury. 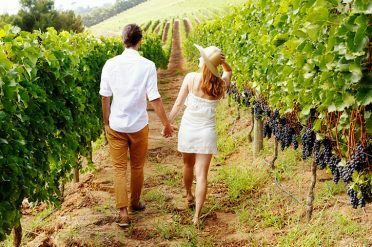 Surrounded by vineyards, the town is a centre for wine production and has many wonderful restaurants for you to enjoy a relaxing lunch. Continue through the pretty countryside before arriving in the neighbouring wine-producing town of Stellenbosch for your overnight stay. 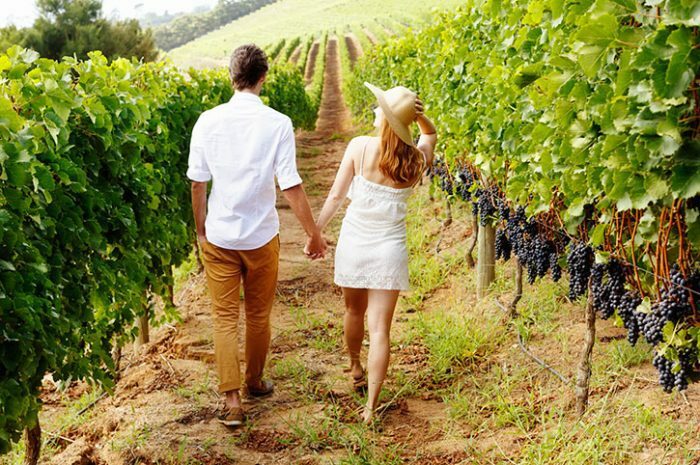 This morning explore the cafés, shops and galleries of Stellenbosch, home to the first vineyard and first university to be established in South Africa. Stroll the oak-lined streets and perhaps pick up some souvenirs in one of the many boutiques. The town is full of history and culture with fine old Dutch buildings to explore. You can return your car to Cape Town or the airport for your onward flight. All prices are per person, based on 2 sharing a twin or double room. Seasonal variations may apply, please call Freedom Destinations for more information and availability. Accommodation specified is subject to availability and may be substituted to a similar standard.